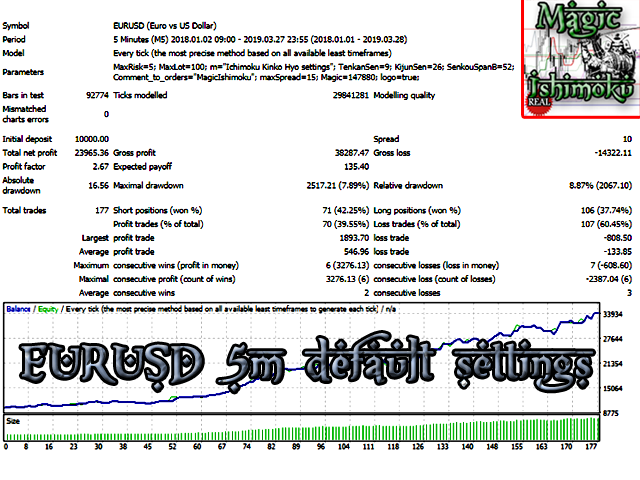 The trading robot works on the basis of determining price consolidation zones due to three overlapping Ishimoku indicator readings with different settings according to the Golden Ratio number. This analysis method allows you to predict price movement with high accuracy. Each position has Stop Loss and Take Profit. Each position is controlled by a short trailing stop. 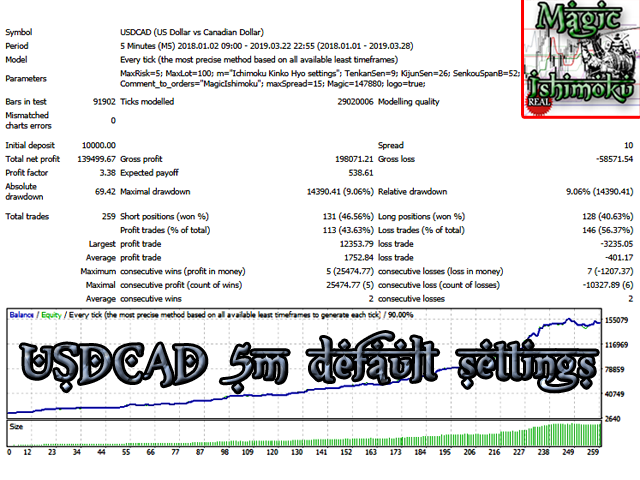 Recommended trading tools, 5m: EURUSD, GBPUSD, USDJPY, USDCAD. Show logo? - Show the logo on the chart?